HaHa and Kim Jong Kook exposed a bit of each other's dating histories on the April 25th episode of 'Big Picture 2'. 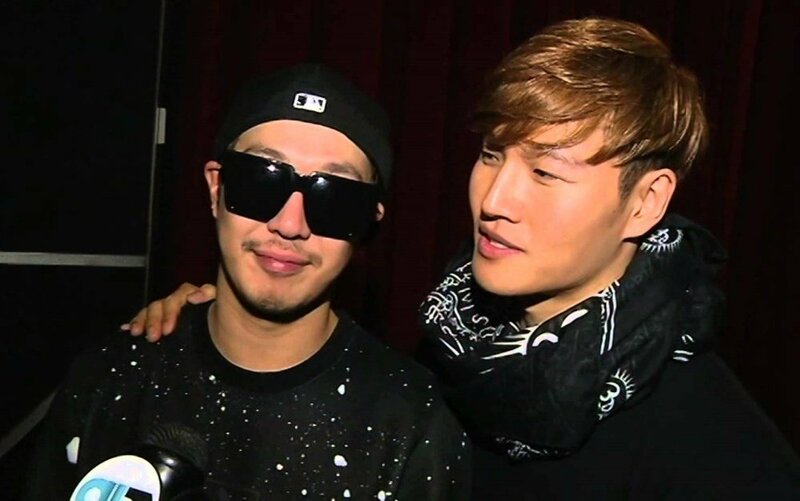 The two 'Running Man' labelmates were speaking with an advertiser when Kim Jong Kook suddenly said of HaHa, "How do you feel when you meet an ex-girlfriend?" HaHa responded, "I was watching 'Return', and she appeared. I didn't just flinch, I got up right away. My wife just watched calmly though." He then asked Kim Jong Kook, "You've met an ex-girlfriend during filming too, haven't you?" 'Sparta' replied surprised, "Oh, that one from a long time ago. She seemed like someone I didn't know very well," and added to his ex, "Shouldn't you use common sense?" As HaHa wouldn't stop pushing, Kim Jong Kook asked his wife, "How do you feel when your ex-boyfriend appears on TV?"